Deep space objects (DSO) are also full of wonder and awe. 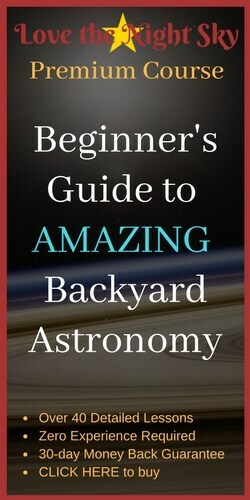 For backyard astronomers like us, they provide an excellent introduction into the cosmos. But, the visibility of DSOs is heavily influenced by your latitude and seasons. Most DSOs are at their peak of visibility only for a month or so. It’s frustrating to discover that the nebulae we planned to see tonight peaked out last month. To avoid that happening to you, we have prepared this two-part series about the best deep space objects you can see by season. In this 'episode' we're looking at spring and summer, you can read about the best deep space objects of fall and winter here. If taking pictures of DSOs is your thing, check out our astrophotography telescope guide here. What Do Deep Space Objects Look Like in a Telescope? But before we get into the objects themselves, let’s discuss what you can expect to see, and what you can’t. One of the most common questions our email subscriber﻿﻿s ask is "what does a galaxy look like in a small telescope?". One of the biggest reasons new scope owners quickly give up stargazing is false expectations of what they will see. Excited, you start making preparations to see it in all its glory - with your own eyes. And that's with a 10" scope! Why you wonder, does this happen? The simple answer is that cameras (especially big expensive ones owned by NASA) gather much more light over more time than our tiny eyes can. Often the pictures we see are combinations of pictures taken in different wavelengths. Sophisticated software knits them together to form beautiful, magazine-worthy pictures. Our eyes and scopes can not compete with that. Our budgets and the laws of physics will not allow it! 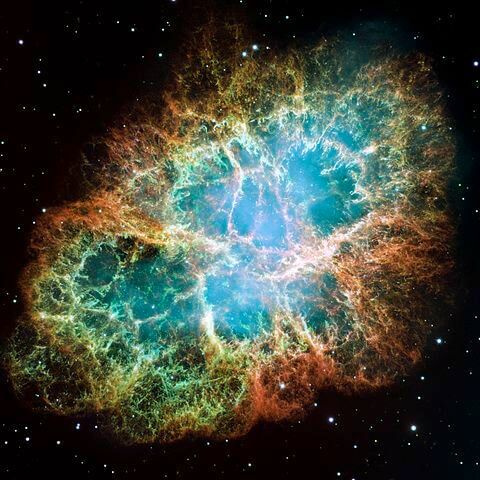 This article shares how Hubble creates its beautiful pictures and this one shares more detail about how telescopes work and why your eyes d﻿on't. The joy for a backyarder is in discovering the object itself. Taking the time to hunt for and locate a galaxy or nebula, especially if it's at the edge of your equipment's limit. Finding, observing and wondering are what make astronomy addictive. Find each of the following objects and spend time with them in your eyepiece. The longer you observe them, the more detail your brain will notice. Try averted vision to tease out more detail. Watch your object on more than one night. You'll be surprised at how much structure you can tease out when you see the same object many times. Finally, read more about the object and study detailed pictures. Find smaller parts of the structure to hunt for, like a gas cloud in a nebula or an arm of a galaxy. With something specific to discover, your brain will work harder to see it. This is the final point to keep in mind when seeking deep sky objects. Your planet-viewing experience is not the same as DSO hunting. Planets are much brighter and easier to find than any DSO. DSOs do not shine like stars, their light is diffuse, which makes them hard to find even in great conditions. Seeing conditions and light pollution wildly affect your experience. With all that in mind, our list contains the brightest and easiest to find DSOs for amateurs. We hope you enjoy hunting them for yourself! 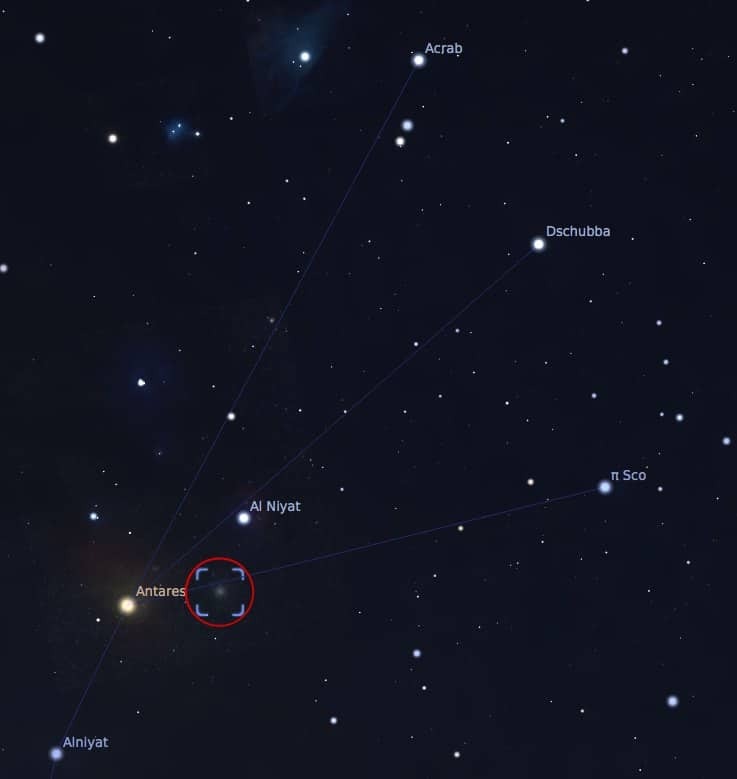 Some of the images in this article come from Stellarium, which is free software we recommend. 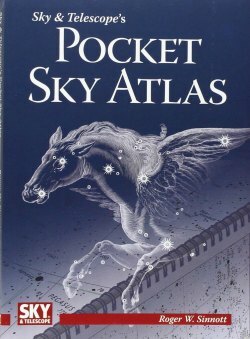 However, no DSO hunt is complete without a copy Sky & Telescope's Pocket Atlas by your side. It's available at a great price from Amazon, click here. These three objects are all simple to locate in the spring sky, between April and June. The Whirlpool Galaxy (M51) is a sight to behold. It's one of the most studied galaxies because of its unique feature- a galaxy feeding on a dwarf galaxy! Wikipedia describes it as “an interacting grand-design spiral galaxy with a Seyfert 2 active galactic nucleus”. Whoa! 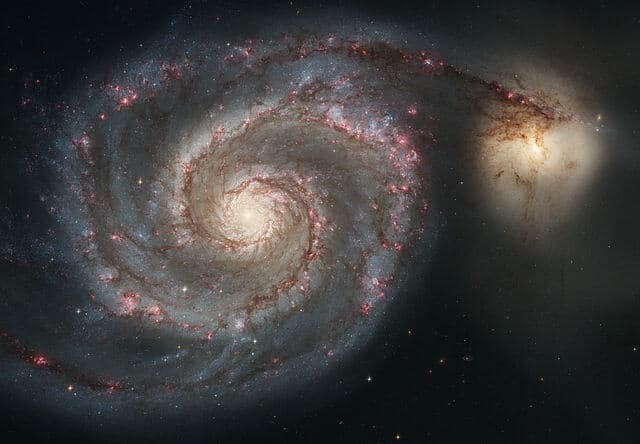 The Whirlpool Galaxy was first discovered in 1773 by the infamous Charles Messier. He wasn't actually compiling a catalogue of objects to look at... he was charting the skies finding objects that might be confused with comets. In a master stroke of irony, he wanted to avoid looking at the objects he catalogued! M51 is a galaxy we can see face-on, which reveals finer details. The companion galaxy is NGC 5195, also called M51b, is in a merging process with the bigger M51a. This is fairly easy to find. 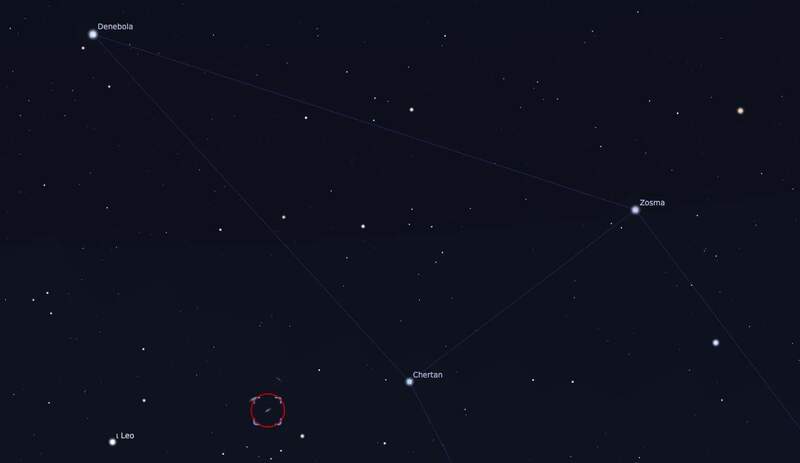 Locate the Big Dipper, and then see the screenshot below from Stellarium for how to find it. For best results, we always recommend the Sky & Telescope Pocket Atlas. You can see M51 in binoculars, but the precious details are only revealed by a decent telescope. And here’s a fun fact: The Whirlpool and its companion, M51b have already passed by or through each other once as they dance through a cosmic merger. The smaller galaxy has been severely disrupted by the encounter. The spiral arms of the larger galaxy are also distorted, although to a lesser extent. The Whirlpool Galaxy's best visibility is in May. 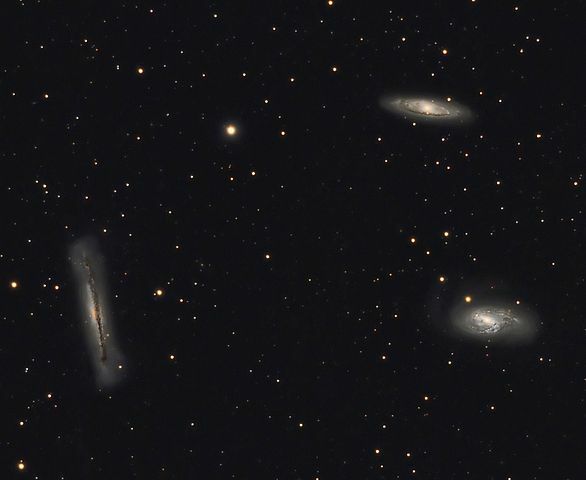 The Leo Triplet, or the M66 Group, is a group of interacting spiral galaxies located in the northern constellation Leo. The group consists of the galaxies Messier 65, Messier 66 and NGC 3628, AKA the Hamburger Galaxy! The trio is also fairly easy to locate. Navigate to Leo and you’ll find the trio, in a common field, near the star Chertan. There are also a few interesting objects nearby. For instance, you may want to try out the nearby M105 and M96. The Virgo Cluster is one of the grandest deep space objects. Visible from March to July, you can see it throughout spring. And you should make the effort to do so since it packs a few surprises! 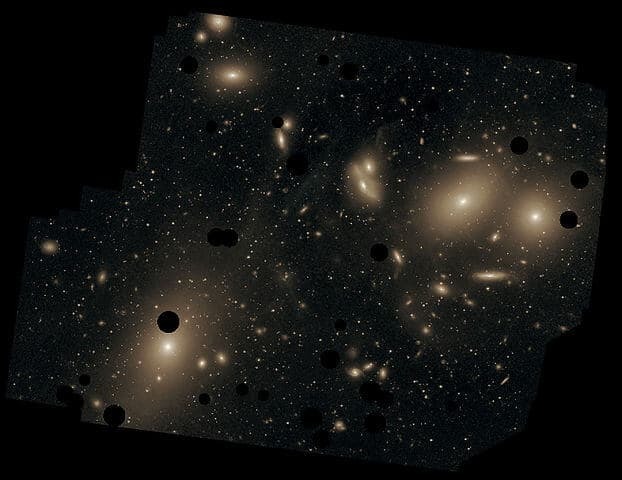 In fact, there so much to get from the Virgo Cluster that we are writing an entire article on it! Click here to sign up for our weekly email and we'll notify you when it goes 'live'. The cluster, located in the constellation Virgo (unsurprisingly), contains 16 Messier objects, so there’s a real lot to see here. The image below highlights the Messiers - click it to zoom. Locating the cluster is no issue. The area between Vindemiatrix and Denebola beside the constellation Leo, lies the Virgo Cluster, as a patch of fuzzy greyness. 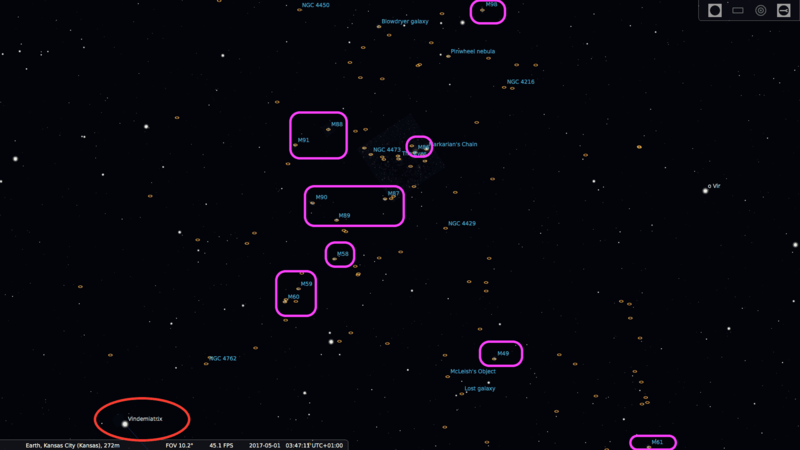 Use Stellarium to take a tour or the Pocket Sky Atlas from Sky & Telescope. These three objects are all simple to locate in the summer sky, between July and September. Even though summers are associated with shorter nights, that doesn't mean there aren't sights to behold. If you know your game, there are plenty of visual wonders to be savoured! 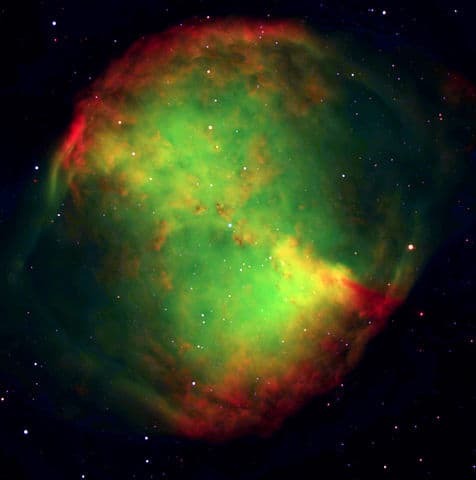 M27, also known as the dumbbell nebula, is an easily identified object in the summer skies, especially visible in August. Finding M27 is simple. 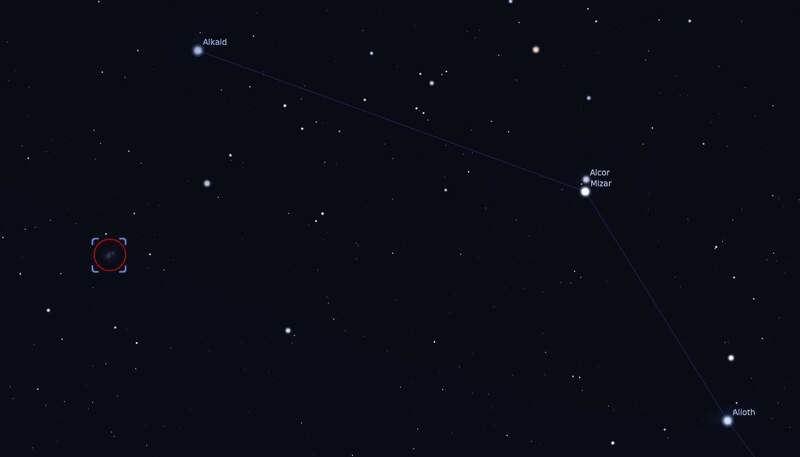 To begin, locate Altair and Deneb in the constellation Aquila and Cygnus (eagle and swan). M27 is about a third of the distance between Altair and Deneb, starting from Altair. The Dumbbell Nebula is easy to find because the two birds are high overhead in the summer sky. Through a backyard telescope, the nebula appears white, but its characteristic double-lobed shape is clearly visible. 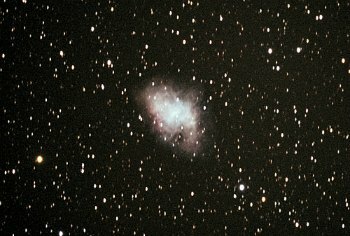 Trifid Nebula or M20 is another DSO that is particularly well visible in August. Its name comes from its characteristic three partitioned structure. Despite the name, it's actually a clump of three types of Nebulae and a Star formation merged into one. There is plenty to see here! Binoculars will reveal the three dark ‘lanes’, but a telescope will let you see the finer details of this wonderful object. M20 lies in the constellation Sagittarius. To find it, locate the teapot asterism in Sagittarius and find Kaus Borealis, the tip Star. Follow the line Northwest, towards lagoon nebula, you will see the binary system 7 Sagittarii. 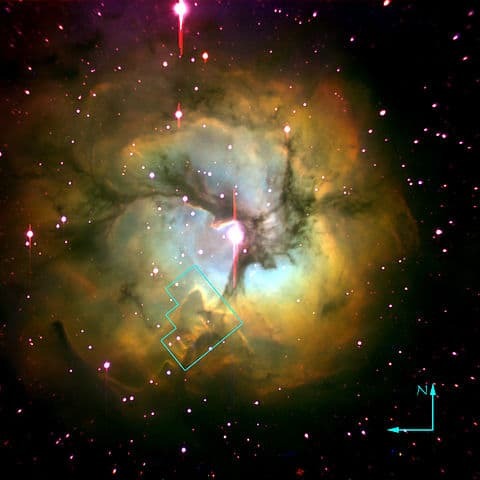 The Trifid Nebula lies about 2 degrees north. If, when you find it, you wonder what the smaller cluster on the northeast is, it's M21. So that's another object for you! M4 is a globular cluster in the constellation Scorpio, best visible in July. Even if you've never done stargazing before, you can still find the object. Start by looking out for Scorpio. Then, find Antares, also known as the heart of the scorpion, at its center. M4 lies just at the right of Antares. They both easily fit in the same field of view in a finder scope or binoculars. 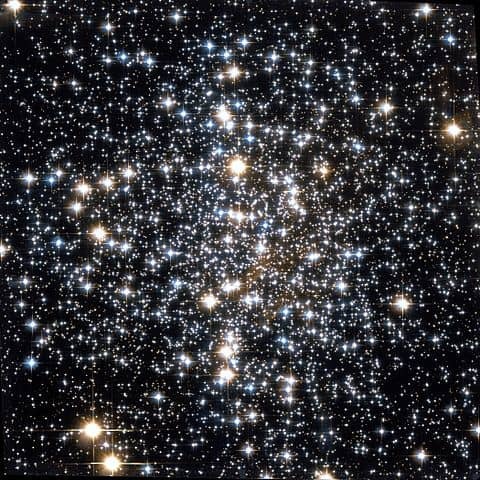 Globular clusters are groups of hundreds of thousands of stars. They populate an area of sky called the Galactic Halo, circling above and below the pancake-shape galactic disk of the Milky Way. Those are the 6 best DSO’s for backyard astronomers visible in the spring and summer months. 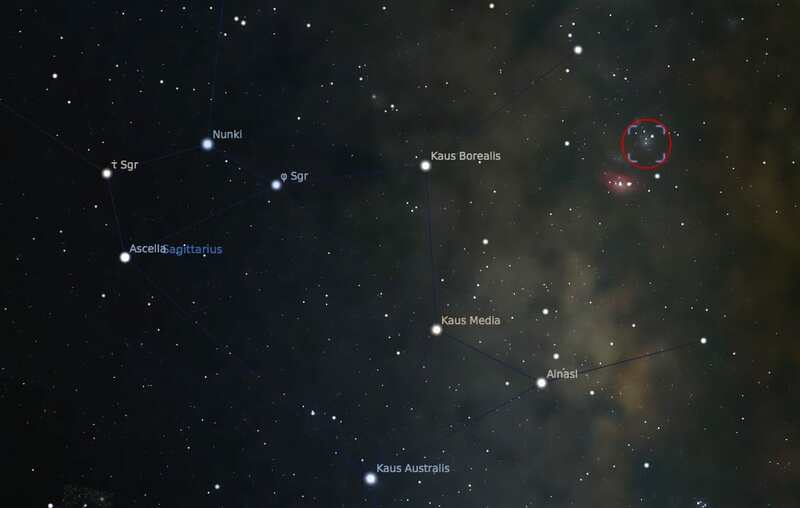 These are super easy to find using Stellarium and the Pocket Sky Atlas. There are plenty of resources available that can enhance your DSO hunt. To start with, DSO Browser is an online tool that can help you to a great extent in planning your DSO hunting sessions. Based on your location and other parameters entered (like minimum altitude of the object), it gives you a list of DSO’s you can observe. It’s super useful! Another useful resource is 111 Deep Sky Wonders for Light-Polluted Skies. 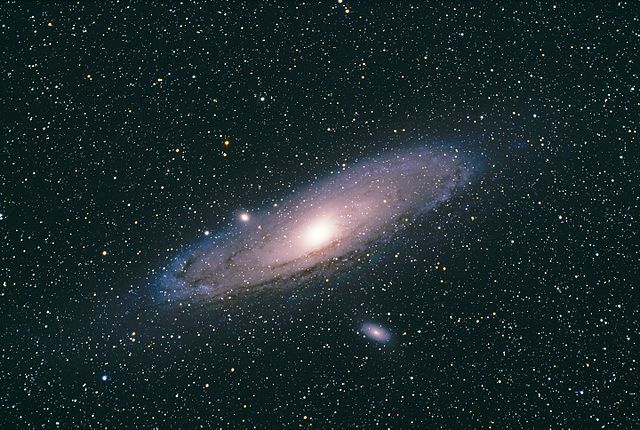 By James Mullaney, this list is a brilliant resource for the city-bound backyard astronomer. 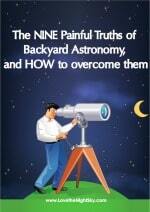 Grab your free copy of our light-hearted look at the challenges facing backyard astronomers. We'll send our 'Night Sky in the Week Ahead' guide every Friday. One-click unsubscribe at any time if you don't want it.